Ruthlessly ambitious young executive, Lockhart (Dane Dehaan), is sent to retrieve his company's CEO from an idyllic but mysterious "wellness center" at a remote location in the Swiss Alps. However, he soon suspects that the spa's miraculous treatments are not what they seem. A Cure For Wellness is a visually stunning, horror inflected mystery that beguiles and repulses, enthralls and frustrates. Heavy with an unsettling and portentous atmosphere, everyone acts oddly, as if in a dream… or, perhaps, a nightmare. Director Gore Verbinski’s film begins with an unmistakably relevant cautionary tale - a warning that today’s society drives us to prize material things, accomplishments that are ultimately meaningless. This viscous cycle of ambition and stress pushes us towards over-medication and expensive experimental ‘treatments’ - almost inevitably leading us to the door of Jason Isaacs' creepy center for wellness in the beautiful Swiss Alps. Verbinski (who also co-wrote the film's screenplay along with Justin Haythe) is renowned for his visually arresting directing style and A Cure For Wellness is no exception. Every scene is gorgeous to behold, from a stunning train that winds around the mountain to the labyrinthine corridors of the unsettling sanatorium. Cinematographer Bojan Bazelli’s hypnotic sequences draw us in as we try, alongside Lockhart, to solve the central mystery. This proves quite the challenge as A Cure For Wellness plays with our perceptions - referencing dreams and questioning the sanity of characters in a manner reminiscent of David Lynch’s Mulholland Drive. Clues are introduced and discarded - this isn't a film concerned with the tying of loose ends. Dehaan proves the perfect casting choice for Lockhart. He is more than up to the task of conveying his character’s growing horror at the events as they unfold. As he pieces the mystery together, he starts to look, well, pretty sickly himself. The trouble with crafting such a stunning and deeply mysterious film is that you have to reach a conclusion at some point. With a hefty running time of 2 hours and 26 minutes, this obviously proved a challenge for Verbinski. As a result, A Cure For Wellness’ length and ponderous pace proves more than a little patience-testing before the film moves into the bonkers madness that is its final act. However, as much as I love bonkers madness, I couldn’t help but feel disappointed with Verbinski's chosen ending. While A Cure For Wellness was a fun ride, I had hoped for something smarter and less predictable. 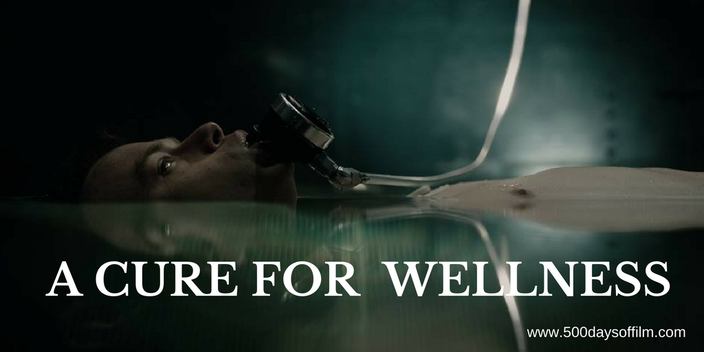 Have you seen A Cure For Wellness? If you have, what did you think of Gore Verbinski’s film? Let me know in the comments section below or via Twitter or Facebook!